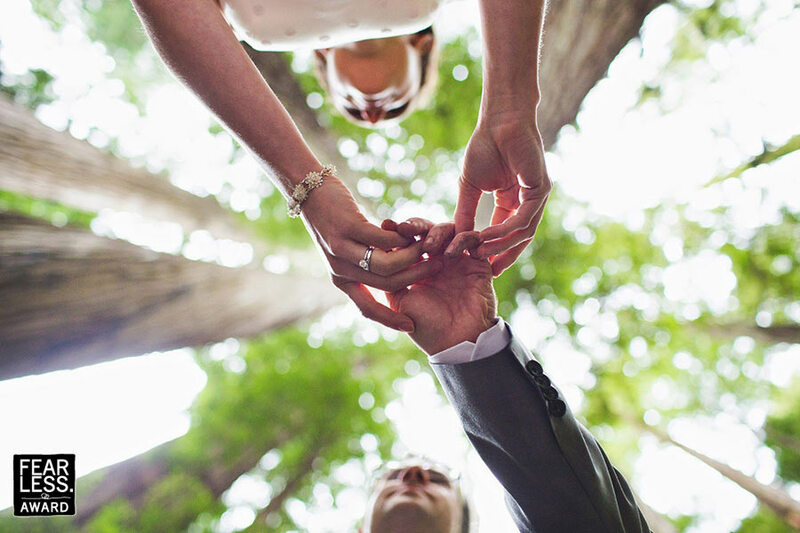 Rings and the joining of hands is a classic symbol of the union of marriage. Here, they are shown from a decidedly different angle that breathes fresh life into the ritual. From the towering trees to the couple's own faces, everything in the frame leads in toward this point of connection. The bright light further infuses the scene with an angelic glow.